The 34. 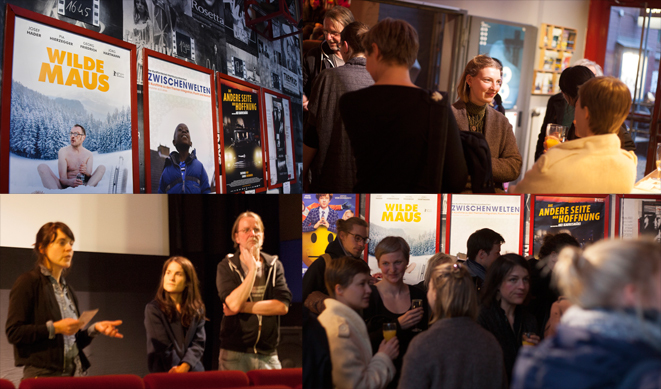 Hamburg International ShortFilmFestival has begun and a lot of filmmakers in our catalogue are competing in different competition sections. We keep our fingers crossed for all the wonderful films, especially as there is an audience award as well. The latest inclusions in our distribution catalogue and potential new entries vie with each other for the podium of the Supporting Film Test. The audience will be the judge for the most entertaining supporting film as well. From May on all films are available in our catalogue for Germany, Austria and Switzerland. Our office will be closed from March 29. till April 02. Emails and phone calls can be answered until Wednesday 5 PM. All others will be replied with fresh energy on April 03. We are very happy that WATU WOTE by Katja Benrath and her team at Hamburg Media School did not only win the student Oscar in gold, but received a nomination for Best Short at the Academy Awards. We keep all our fingers crossed for the award ceremony in March. The film is available for screenings from now on. We are pleased to announce the launch of our new website with a fresh look and user-friendly surface! As registered user you can create a favourite list, preview on mobile devices (Smartphone, Tablet).